DesignCurial spoke with Senior TED Fellow Rachel Armstrong about the second and third test flights for the stratospheric sky garden, in collaboration with Nebula Sciences. 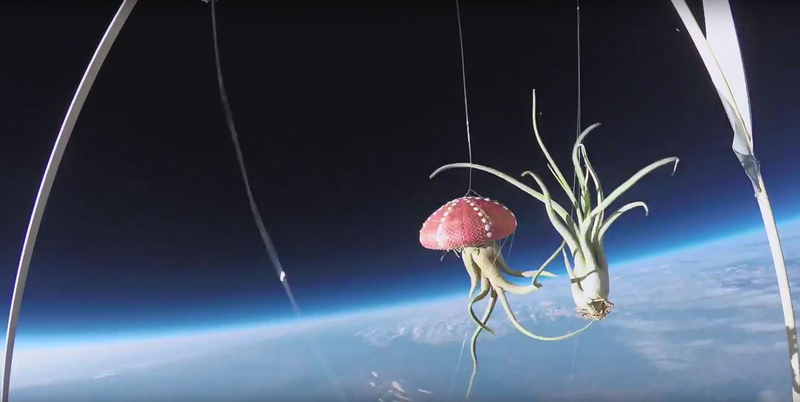 On Saturday 29 August the Hanging Gardens of Medusa took flight for the second time from Central Valley, California, to determine and challenge the ability of different kinds of life forms to survive in hostile environments, both in outer space and in the harsh conditions on Earth. Launching to 85,000 feet, the experiment is a collaboration between Rachel Armstrong, Senior TED Fellow and Professor of Experimental Architecture at Newcastle University, and Nebula Sciences. The laboratory sky garden is split into two tiers: cacti directly exposed to high altitudes and 'protocell' artificial life forms supported by a technological infrastructure that is designed to maintain the temperature of the chemistry in a liquid state. The cacti garden tier consisted of three 'space plants': Tillandsia medusae, a South American plant renowned for its ability to grow without soil or water and thus withstanding hostile environments; a hybrid of red-stained sea anenome skeleton and air plant Tillandsia medusa; and Euphorbia Lactea Variegata or Dragon Tree Bone Catcus. The protocells are lifelike, therefore age the way we do. Through starting as semi-transparent droplets, as the garden gains altitude minerals are introduced into the liquid and create a metabolising effect, causing a dark layer to gradually form and turn into sediment. 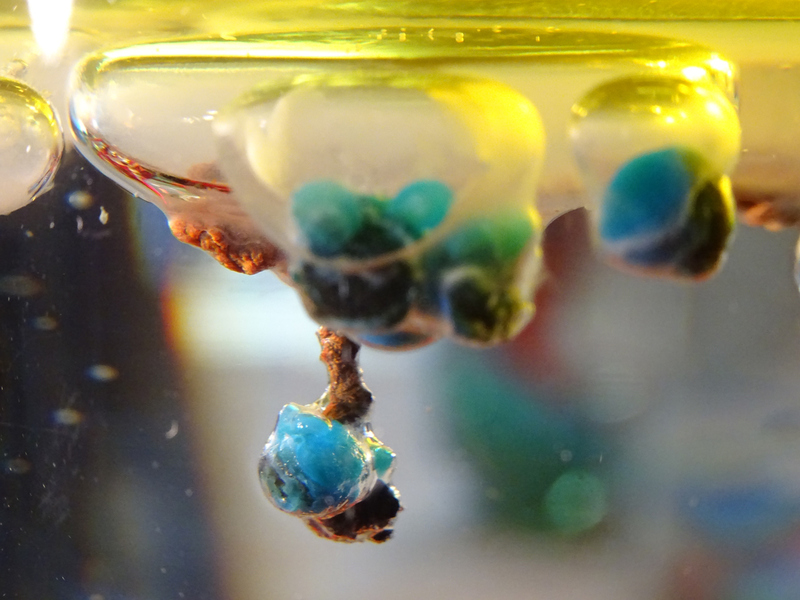 The post flight protocells of a darker complex, where sediment has formed, displays the 'aged' system where the whole structure has simply broken down. 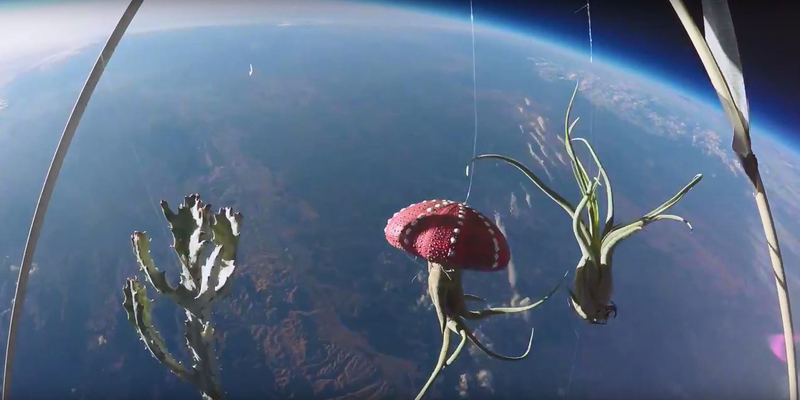 The various cacti were able to withstand the extreme conditions of the high altitude at 85,000ft, including a vigorous jet stream, while the artificial life forms with their super 'soft' and distributed self-organising programme were completely destroyed by the process. Placing the protocells in high altitude speeds up the ageing process immensely: this is groundbreaking for the scientists involved. To slow down the ageing process, Armstrong used a soap-like substance after the test that acts as an inhibitor. 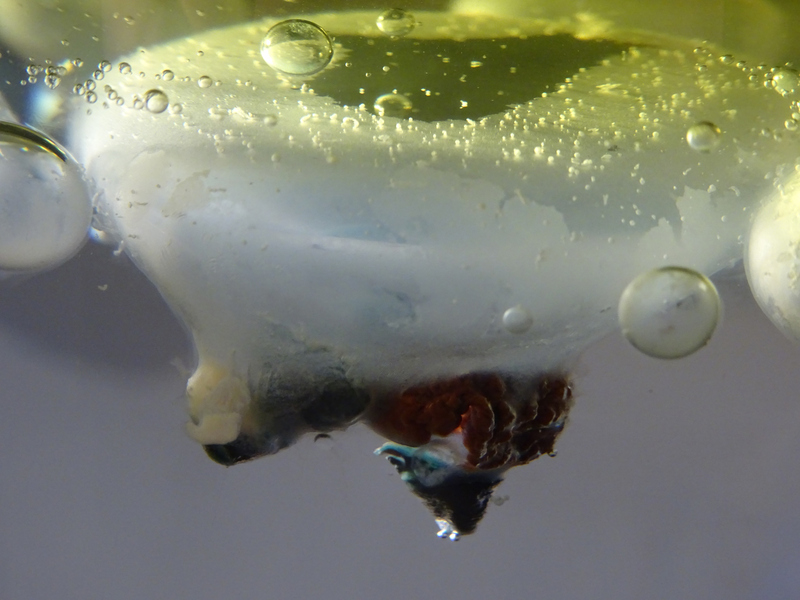 The altitude caused the helium balloon to rupture and the free fall caused agitation of the protocells, which shattered into mineral fragments as they cascaded down to earth. The next day a third test took place, however the extreme conditions also caused great destruction of the liquid protocell bodies. 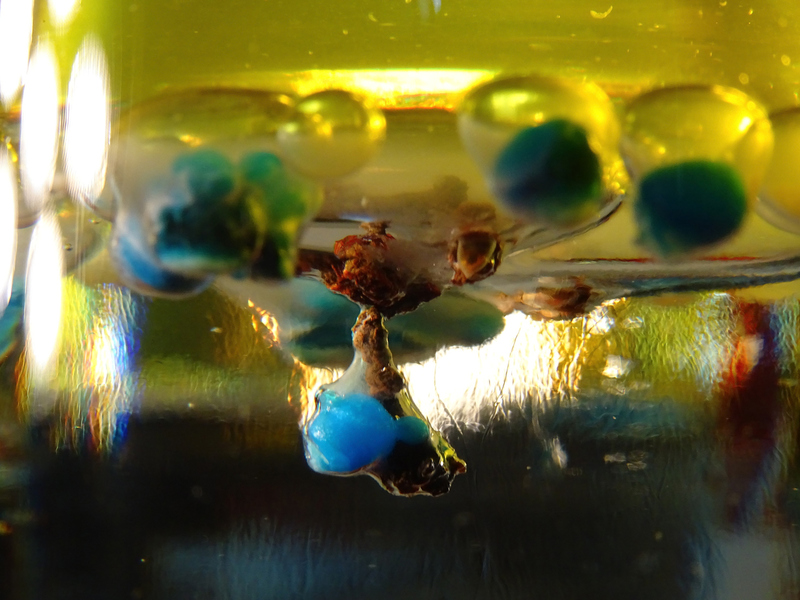 These are made up of watery droplets sandwiched between two oil layers; therefore Armstrong said they definitely should have held their structure - at least for several minutes before breaking down. 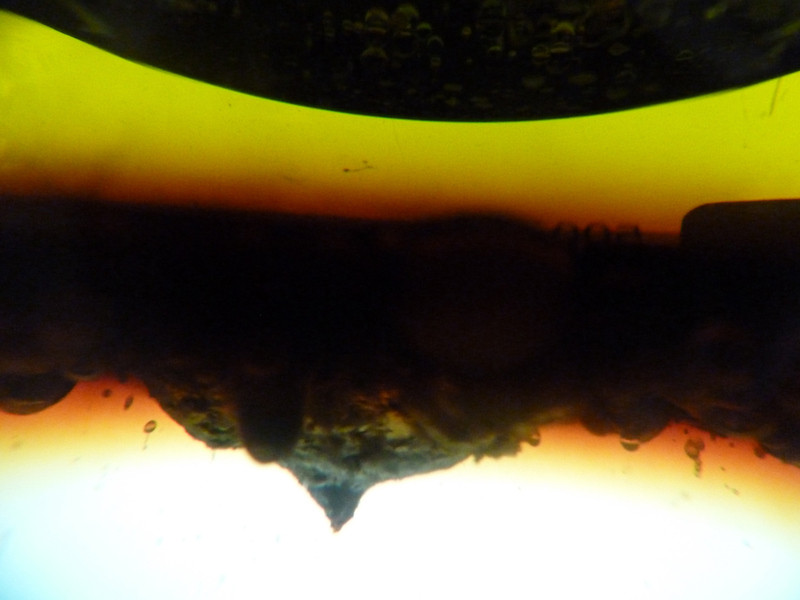 'The mechanical forces and environmental conditions completely wrecked their robust morphological program - as robust as mixing oil and water can be,' said Armstrong. The team are continuing to refine the 'soil' infrastructure that supports the protocells, which consists of electronic circuitry as well as liquid systems, but Armstrong states that it was just as important to determine just how delicate the laboratory garden was. 'It was interesting to note just how much more fragile they were compared with the biological systems. After retrieving the cacti from the test, the next step is to examine how their structure was affected by the launch into the stratosphere. Armstrong says they will continue exploring different types of infrastructure that can protect and support the processes for both artificial and biological systems as they are sent into extreme environments. The information that is gathered is helping us build more complex pictures about how we can survive and even settle new worlds. CITA/Beesley installation, December 2009: Performed at the Royal Danish Academy with Philip Beesley and Mette Ramsgard Thomsen's group, CITA, this flask shows the first time 'protocells' were used in a design installation; and they aged rapidly. 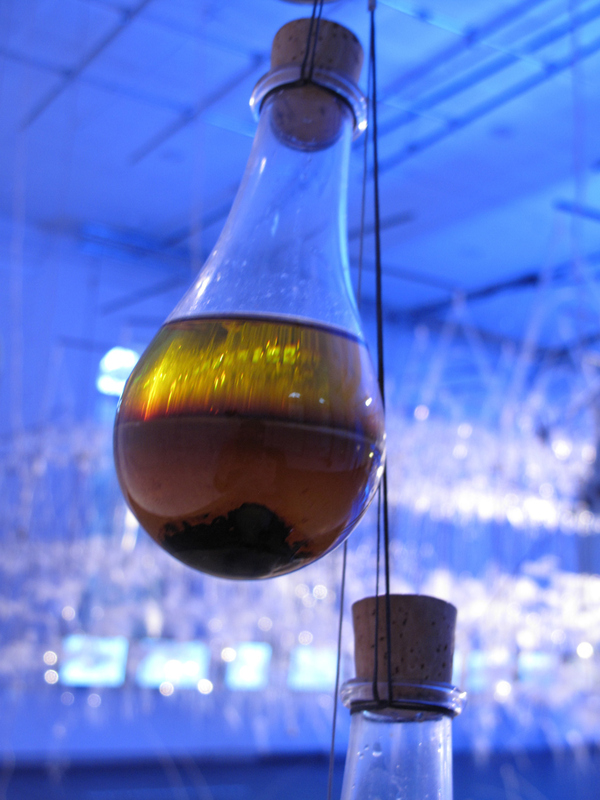 The cells above were made in a hand blown flask and then hung in a curtain with the geotextile produced by Mette and Philip, showing that the aged protocells produce a brown mud like substance. Positively brimming with excitement for the following tests, Armstrong says that lifelike models of primitive cells provide a comparative model for understanding biological systems and discover which aspects of biology we need to understand more about. And that's exactly the approach we're taking, says Armstrong.